Jim Murray’s Chimney Service is a locally owned and operated wood stove installation company that has been serving Delaware County, PA and Main Line, PA for over 25 years. 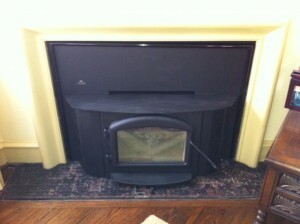 If you are looking for a wood stove, we have over 25 years experience in installing indoor stoves. Are you considering an alternate heating solution for your home such as a wood stove? Not all suppliers are created equal. The wood stove you choose needs to be adequate enough to heat your home safely and efficiently. Let the experts at Jim Murray’s Chimney Services install a Napoleon quality stove for your living space, safely and efficiently. Call one of our professionals today before you decide which wood burning heating solution is right for you. If you’re in need of a wood stove installation in Delaware County or Main Line PA, do not hesitate to give us a call to setup an appointment.